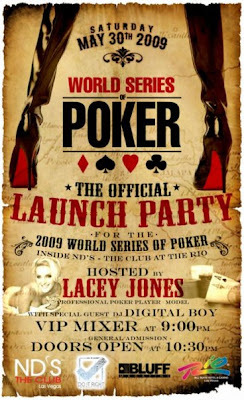 Professional poker player and model, Lacey Jones, is hosting the party, and special guest DJ Digital Boy will provide the music. Do It Right Productions, a full service marketing and PR firm will serve as the event organizer. Event is open to the public, all poker players, pokers fans, tourists and locals are welcome to attend this event. Capacity is limited. The World Series of Poker (WSOP) is the largest, richest and most prestigious gaming event in the world awarding millions of dollars in prize money and the prestigious gold bracelet, globally recognized as the sport’s top prize. Featuring a comprehensive slate of tournaments in every major poker variation, the WSOP is poker’s longest running tournament in the world, dating back to 1970. In 2008, the event attracted 58,720 entrants from 124 different countries to the Rio All-Suite Hotel and Casino in Las Vegas and awarded over $180 million in prize money. The creation of the new delayed Main Event final table more than doubled ratings on ESPN year over year. The WSOP in December, 2008 was named the 7th most admired sports brand in North America by the Turnkey Sports Survey, trailing only the older and more established NFL, MLB, NBA, NHL, NASCAR and PGA Tour among sports properties. In addition, the WSOP has experienced groundbreaking alliances in broadcasting, digital media and corporate sponsorships, while successfully expanding the brand internationally with the advent in 2007 of the World Series of Poker EuropeSM. 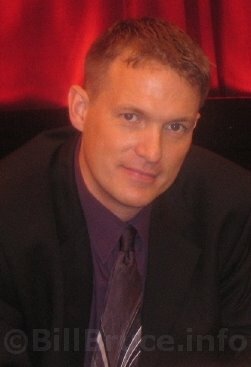 For more information on the World Series of Poker, please visit our website at www.worldseriesofpoker.com.